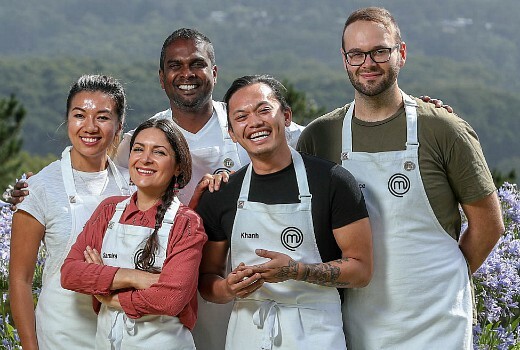 Both MasterChef and House Rules increased their audience compared to last Tuesday but Buying Blind dipped. MasterChef saw another Immunity pin go off after a Vegemite challenge in South Australia to the tune of 886,000, up on last week’s 852,000 and topping the demos. House Rules lifted from 674,000 to 713,000. Newcomer Buying Blind slipped from 608,000 to 554,000 in its second outing but finished ahead of House Rules in Melbourne. By around 8:45 the race was a lot tighter but ultimately Shark Tank came out on top at 614,000, up on last week’s 560,000. Back in Time for Dinner and Interview followed, the latter increased from last week’s poor showing by over 100,000 viewers. From 9pm Nine just wasn’t even on the mat. ABC News drew up to 74,000 for Live coverage of the Trump / Kim Summit in Singapore around 7pm during Trump’s press conference. TEN’s primary channel managed to pip Nine’s but Seven network won Tuesday with 28.6%, then Nine 25.5%, TEN 21.8%, ABC 16.9% and SBS 7.2%. Seven News was #1 for Seven with 1.13m / 1.06m then House Rules & Home and Away (both on 713,000), The Chase (674,000 / 414,000), Interview (477,000), and Swipe Right for Murder (199,000). Nine News (1.01m / 966,000) led for Nine then A Current Affair (782,000), Hot Seat (584,000 / 365,000), Buying Blind (554,000) and 4 Days that Shook Britain (223,000). MasterChef Australia (886,000) won for TEN then Shark Tank (614,000), The Project (580,000 / 364,000), TEN Eyewitness News (458,000), Family Feud (289,000)and NCIS: LA (279,000). ABC News (691,000), Back in Time for Dinner (572,000), 7:30 (484,000), Making Child Prodigies (339,000), Miriam’s Big American Adventure (322,000), and Think Tank (233,000) comprised ABC’s Monday. On SBS it was a repeat of Who Do You Think You Are? at 326,000 then Insight (190,000), Dateline (166,000) and SBS World News (150,000). Outback Truckers topped multichannels at 222,000 for 7mate. Love Island followed at 200,000 which is another season high. OzTAM Overnights: Tuesday 12 June 2018. Tags: 4 Days that Shook Britain, 7:30, A Current Affair, ABC News, Back In Time For Dinner, Buying Blind, Dateline, Family Feud, Home and Away, Hot Seat, House Rules, Insight, Interview, Love Island, Making Child Prodigies, MasterChef Australia, Miriam’s Big American Adventure, NCIS: LA, Nine News, Outback Truckers, SBS World News, Seven News, Shark Tank, Studio 10, Swipe Right for Murder, TEN Eyewitness News, The Chase, The Morning Show, The Project, Think Tank, Today Extra, Who Do You Think You Are? Masterchef..Another lame dish by the pro chef. .mmmm. and Vegemite ..really. The show is so predictable now, we watch it to so we can bet on what will happen and guess what..
Oh did you see George look at what Matt was scoring. So enjoying ‘Miriam’s big American Adventure’ What a treasure Miriam is – warm, funny and empathetic but unwaveringly honest and opinionated at the same time. Makes for fascinating viewing. Hope to see Miriam in further “adventures” around the world in the future. The Block is about 6-7 weeks off. Early August. Hey David, I’d love to know what would be considered a success for Love Island in terms of their numbers broadcast and VOD etc. I see that their YouTube channel has over 56 mil views but a lot of those are all clips, not episodes. Perhaps this warrants a more-indepth article? I’d be very interested to know what success looks like on these multichannel & multi-platform shows. That sounds like LI UK to me where it has a few seasons under its belt. That said, LI AU has also attracted views of over 1 mill, which I reported a few weeks ago. Nine is pleased with the multiplatform audience of 723,000 viewers in metro + regional (9Now audience represents 50% of the total 9Go!/9Now audience). They’ve talked up the revenue from digital, but no numbers. So it is working most places except broadcast, although some recent improvement. Not a cheap show like Yummy Mummies, so I suspect it needs broadcast as well. Awesome insight, thank you very much! I also appreciate this insight. I was wondering what your thoughts were in Broadcast Vs 9Now! audiences in terms of advertising revenue (in general, not just with Love Island). Is a viewer on broadcast where the demographics are only determined via. rating figures as effecting as 9Now! where advertising can be targeted much closer using additional information about the viewer. Casting has continued while the show is on air, so I think they mean S1. It would be too early to renew it until all the numbers are in. Oh okay thanks for the clarification. David, it’s definitely the Love Island Australia official YouTube account that has seen more than 57 million views already. It must be some kind of record for an Australian produced show? Wow, yes I’ve just confirmed. Amazing. I will talk to Nine. Why is that shows like LI that are virtually unwatched on FTA are given a slot, but quality shows (eg The Crown) are reserved exclusively for pay TV? I understand it is about advertising etc, but sometimes the world just doesn’t seem fair! Watched Buying Blind last night (delayed viewing) but didn’t really see them as ‘Aussie Battlers’ as said by the narrator…I think the people they have picked aren’t necessarily the right choice IMO saying that they would happily have a two bedroom house just so they can stay close to their daughters schools and friends!! My husband and I couldn’t sympathise at all especially given they did have $600K to by a house! Not convinced by this genre at all…where are the ‘real’ Aussie Battlers? Those who really need help getting into the housing market. It really needs a few changes to captivate a wider audience and have me convinced they are deserving of so much help. Well deserved ratings for this dubiously delivered dogs breakfast. Am enjoying Back in time for dinner. A nice likeable family with no arguments or tantrums. The 70’s last night brought back memories. Ouch! Only 200k for Channel 9 around 9pm, doubled by Seven and more by Ten. Surely Nine will act quickly there. Had it not been for Love Island’s impressive number (as well as its equally performed lead-in/out programs), Nine would have tied or lost to Ten in network share.